Email alerts make great notification tool. There are several different ways to notify your customers based on their on-site behavior. This is great a great marketing tactic. There are different triggers that tell the store when to send email notifications. Here you can set up Abandoned Cart Email Settings. 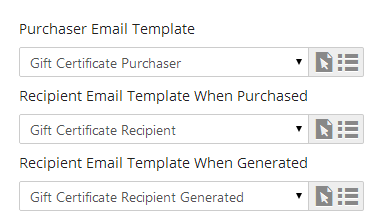 Choose the template to send when a cart has been abandoned, as well as the frequency and number of emails to send to the customer. Click Gift Certificates to set up the Gift Certificate Email Triggers. 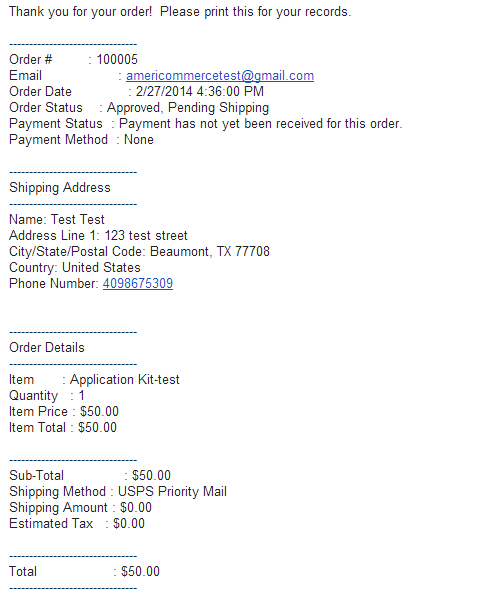 You can select the Purchaser, Recipient, and Recipient Email Template when purchased and generated. Navigate to Settings > Orders for email notification triggers on specific order statuses. To send an email notification on a specific order status, go to Settings > Orders > Order Statuses. Click the arrow icon to edit under Actions. You will now see the Product Status Editor screen. Here you can select the email notification to send with a specified order status. Choose the email notification and hit Save. New Registration, Mailing List Sign Up and Customer Password Reset templates are under Settings > People. Note: If you want to create your own trigger to send an email template, check out the article on our Rule Engine. What are Email Templates and How to Use Them?